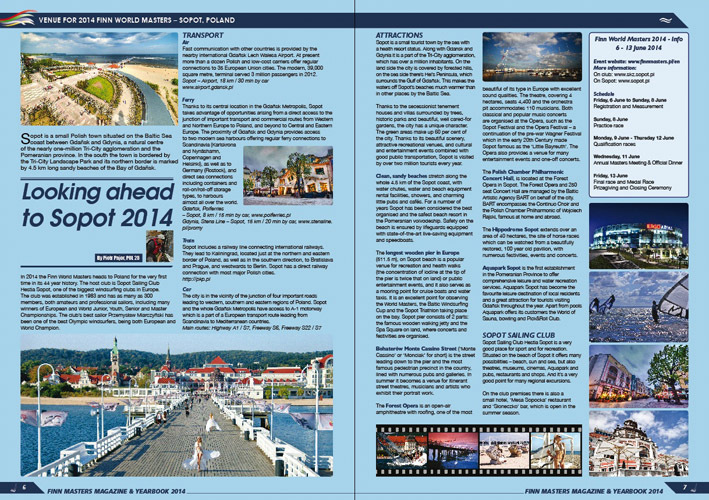 The Finn Class has published the first ever edition of the Finn Masters Magazine and Yearbook. 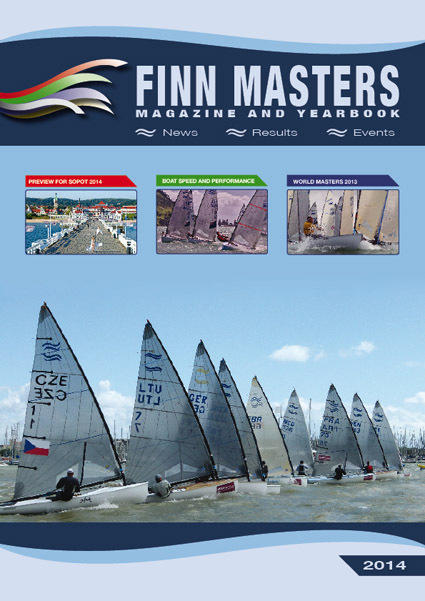 During discussions at the 2013 Finn World Masters in La Rochelle, France, the idea of a dedicated magazine for the ever growing number of Finn masters was put forward. Eight months later the first edition has just been published. This exciting new direction for the Finn class comes at a time when Finn masters numbers are escalating worldwide as aging Finn sailors come to realise that Finn sailing is not just for the young Olympic hopefuls, but can be for the rest of your life. 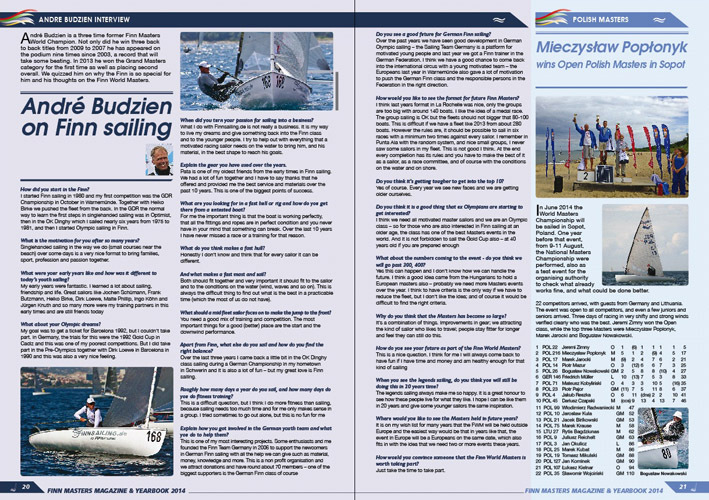 The Finn class has perhaps the largest masters movement of any dinghy class worldwide and this magzine is published in recognition of this fact. Last year the Finn World Masters attracted a record 285 entries. What also became clear during production was how many masters fleets around the world have taken the concept of the masters to heart and created new events to cater for this ever growing sector of the class. There are now dedicated masters events in the UK, USA, Italy, Poland and The Netherlands as well as Masters categories in most country’s national events. In 2014, the Finn World Masters travels to Poland for the first time, and new local events are cropping up, including in Ukraine. It continues to attract sailors from 40 to 80 years old, and from club sailors sailing one event a year to experienced Olympians, and everything in between. The current Masters World Champion, Mike Maier, is a five times Olympian, and more aging Olympians are expected to join the fleet this year. At more than 40 years old the Finn World Masters has an incredible culture and heritage that will be nurtured and developed through initiatives such as this magazine to continue providing a platform for the continued success and growth of the Finn World Masters and the continued fun of Finn masters across the world. 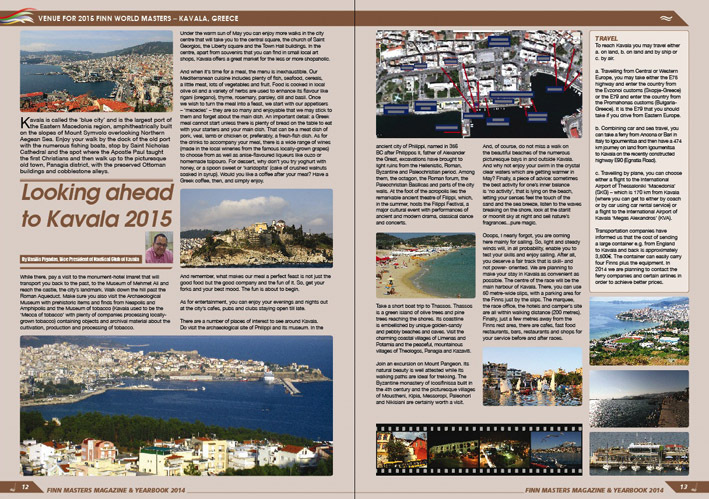 The successful production of the magazine is largely due to the fantastic support of the advertisers: HiTech Sailing, HIT Masts, North Sails, Pata Boats, Suntouched, WB Sails and Zhik. Its contents are free for editorial use in any shape or form, with a credit to the source. ← Mads på 5. pladsen i Cannes!